Yesterday afternoon we set out for brunch and a haircut. The haircut was for JD, not me. I desperately need a trim and will happily share that little bit of information, but will continue to chicken out until the end of time, or at least until I find a hairdresser that understands units of measurement. I've had my fair share of bad experiences in the salon chair, most recently a quarter of an inch that turned into three. Right, so we went to brunch at Elephant and Castle, an old favorite spot of ours, there is just something about a bowl of hot chocolate on a cold winter day, and then JD got a haircut. 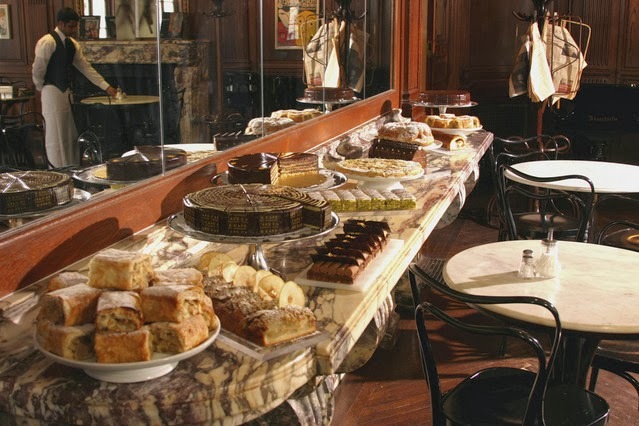 After said haircut we wandered over to Union Square and then up to the Neue Galerie We had been meaning to get up there for such a long time and yesterday seemed like the perfect day to take in a little German and Austrian art, and desserts. 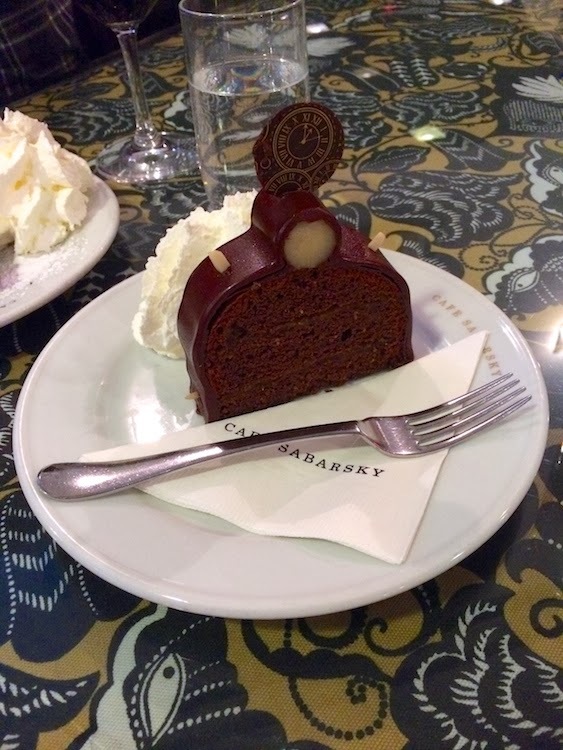 Our main draw to the Neue Galerie was the wonderful little cafe, Cafe Sabarksy, filled with Austrian and German pastries and cuisine. Of course, we enjoyed the art as well, and the architecture, what a beautiful building it's located in. JD and I shared a table with another couple and ordered chocolatey desserts and coffee. I highly recommend paying a visit should you find yourself in the area. Afterwards, we walked across Central Park as the sun set and hoped on a train back downtown.